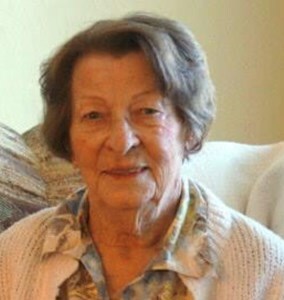 Betty Sue VanDoren, age 91, of Titusville, Florida passed away on Saturday, April 13, 2019 at her home. A native of Edwardsville, AL she came to Titusville in 1988 from Atlanta. Sue was a wife, mother, grandmother and great-grandmother who loved her family. She had a great sense of humor and loved to work in the yard and tend to her garden. She also enjoyed cooking. Preceded in death by her parents: Robert and Bessie Butler and a daughter: Gina Miller; she is survived by her son: James Lance of Titusville, granddaughters: Mallory (Justin) Stevens of Titusville, Samantha (Kevin) Ricksecker of Titusville, Melissa Miller of Port St Lucie; grandson: Brandon Miller of Port St Lucie; great-grandchildren: Korie, Cameron, Caleb Miller all of Port St Lucie, Bryson & Holden Stevens of Titusville. To share your memories of Sue or leave a special condolence message for her family, please click the Share Memories button above. Add your memories to the guest book of Betty VanDoren.